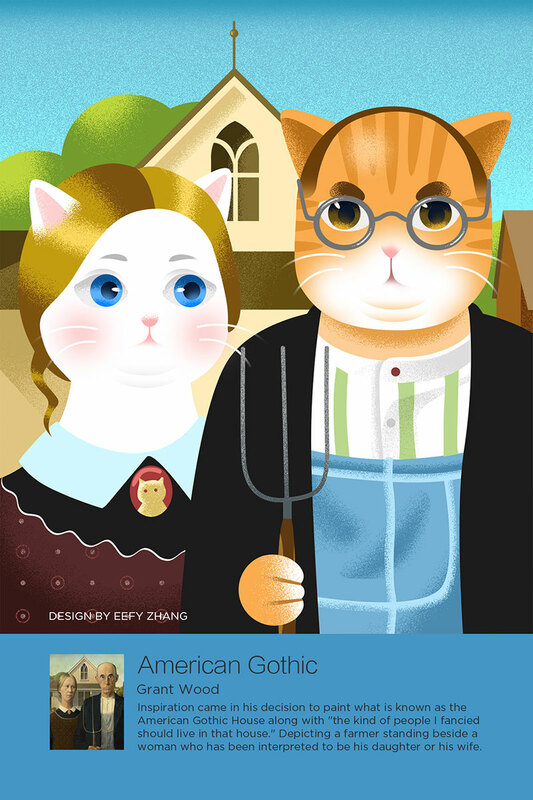 Cat illustrations inspired by famous paintings by Beijing-based graphic designer Effy Zhang. 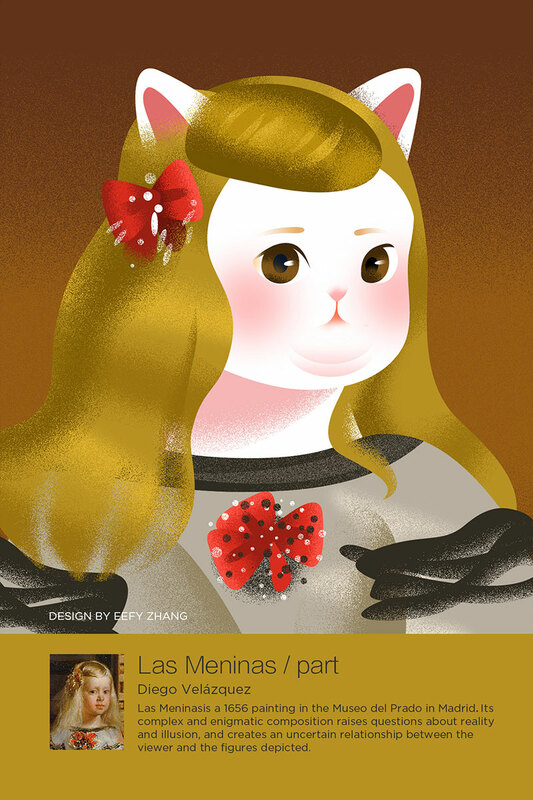 Passionate about UX and user research, Zhang has an extensive portfolio and has designed everything from mobile apps to smart tv systems. 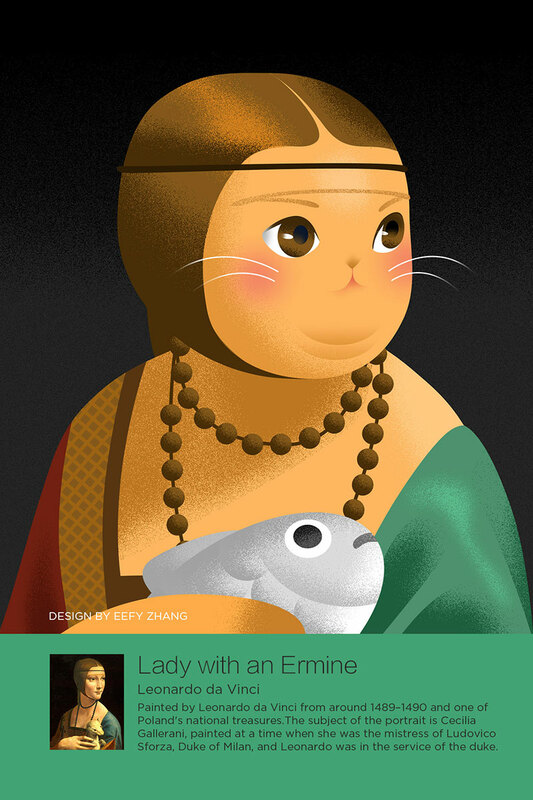 As an illustrator, Effy's inspiration comes from nature and states that colors and shapes are her secret weapon. I study color and shape deeply. 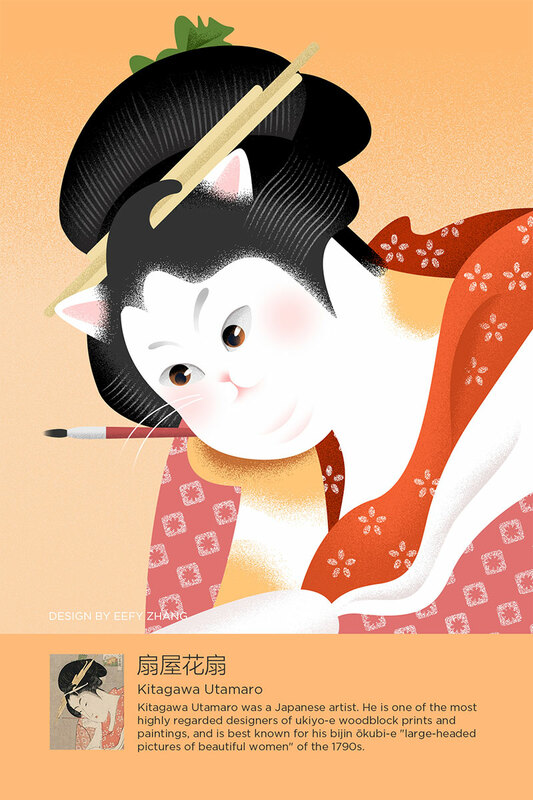 I began my illustration career 12 years ago. The method has shifted from real brush to digital software but the spirit which I keep in mind has never changed—that is the relationship between people and the world we live in. Life is too short, I need to draw pure feelings down. 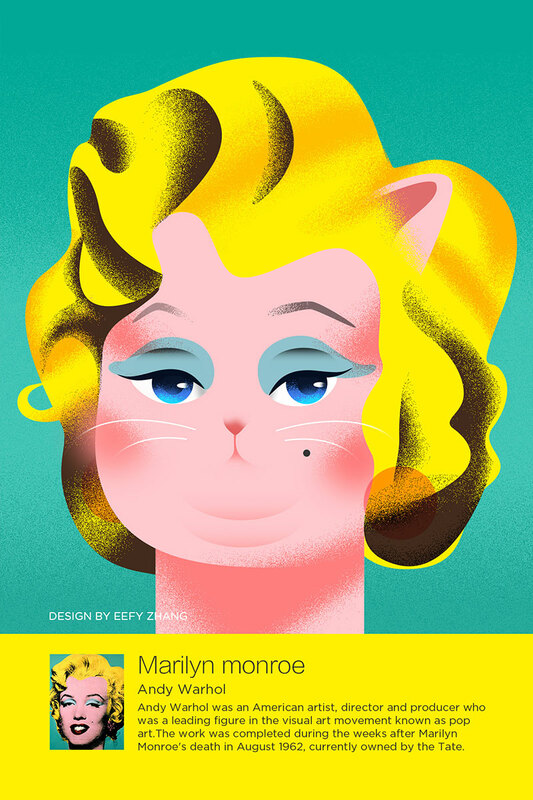 See more of Effy Zhang's work on Behance. 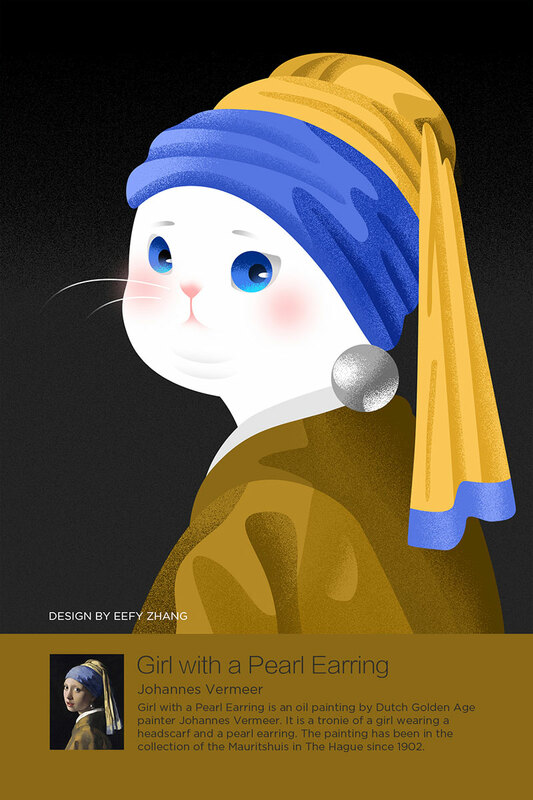 Cat illustrations inspired by famous paintings by Beijing-based graphic designer Effy Zhang.